ExtraDimension Floatation and Massage Centre. Corporate Massage Programs. Located in 13 Dagonet Street, Strathmore-Essendon, 15 minutes from Melbourne City, Victoria (Australia), the Extradimension Floatation and massage centre is the place to go when you want to relax. Established in 1991 we are the only place in the Melbourne where you can have the unique experience of effortless deep relaxation in our exclusive floatation tanks combined together with a massage by one of our fully qualified massage therapists (A. A. M. T. member). Floatation therapy and why the tank is heated to 35°C! Developed by Dr John C Lilly in the 1950s, floatation is method of effortless deep relaxation. 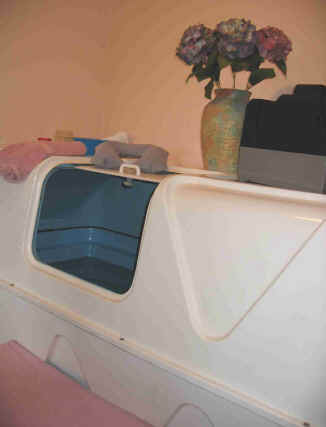 A float tank looks like a fiberglass mini submarine with water to a depth of 25 cm treated with a very high concentration of Epsom Salts (280kgs Epsom Salts/500 liters of water). This produces a high density that allows the individual to float naturally and spontaneously without a conscious effort. This gives the floater a sense of weightlessness, like floating in outer space where there is no gravity. It is also important that the water and air is close to your skin temperature - this way you will feel neither warm nor cold and you will hardly notice you are immersed in the salt water. Skin temperature is 35°C - this is why we heat the tank precisely to this temperature. (Please note that skin temperature is less than your internal body temperature which is just under 37°C). 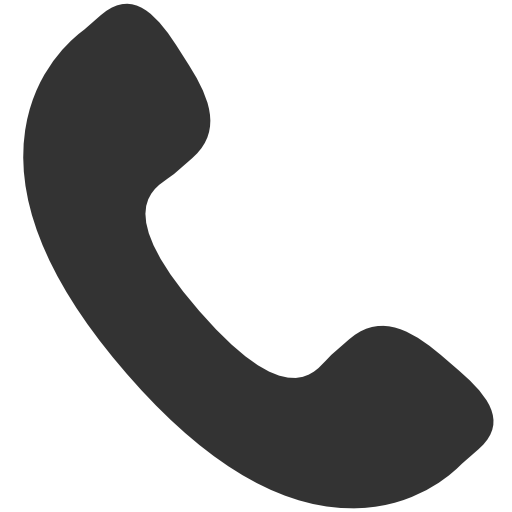 If you want to know more please request more information from us. The floating session normally lasts for 50 minutes, usually with a couple of minutes of soft music in the beginning and end then in silence, but if necessary, therapeutic tapes or music can be used throughout the float. We allow 10 minutes for showers before and after the float. Our floatation centre at ExtraDimension is fully equipped including private shower facilities, heating, air conditioning, piped music in the tank and a video monitor for enhanced sports preparation and training. We provide soap, hair shampoo, ear plugs and neck rests. All you need to bring is a towel. If you are a first time floater we recommend that you plan for three float sessions about one week between each float as in our experience the first one or two sessions are required to get used to the environment. Please enquire about our special introduction offers when you book! 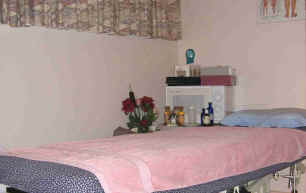 Package prices available for a combined floatation and massage session. Please enquire when booking!